Is faith like getting in a wheelbarrow to be pushed across Niagara Falls? You are here: Home / Redeeming Theology / Is faith like getting in a wheelbarrow to be pushed across Niagara Falls? How do you define and explain faith? How do you know you have faith? What is faith? 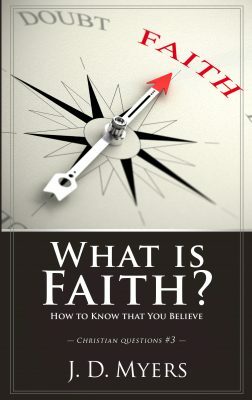 I have a new book coming out on January 15 which answers all of these questions about faith. The book is titled, What is Faith? and is available for preorder on Amazon. But between now and then, I wanted to publish several Podcast episodes which talks about faith, and looks at several tricky and troublesome texts in the Bible about faith. We will discuss the concepts of great faith and little faith. We will look at whether there is such a thing as head faith and heart faith. We will also discuss the faith of demons mentioned in James 2. In today’s study, I just want to introduce some of the key concepts about faith that will help you understand what the Bible is talking about when it talks about faith. Let me begin by telling you a story, which you have probably already heard. Most of the crowd shouted that they believed he could do it. Many of them cheered him on to try it. So he climbed up onto the rope, and balanced his way across Niagara Falls. When he reached the far side, he turned around and came back. He didn’t slip. He didn’t fall. In fact, he barely wobbled or wavered. So when he returned to the safety of the shore, he motioned with his hands for the cheering crowd to quiet down. “That was too easy!” he yelled. “That wasn’t a challenge for me at all! Let’s make it more difficult! Who believes I can do again, but this time, while pushing a wheelbarrow? If my hands are on the wheelbarrow, I will not be able to use them to balance on the rope. Shall I give it a try? Do you believe I can do it?” He motioned to a nearby wheelbarrow, which he had brought for this very purpose. The crowd cheered their approval, which caused the number of gathering people to swell even further. So with the help of two nearby men, he lifted a wheelbarrow up onto the rope, and then started pushing it across the Falls. He went more slowly this time, and even had a few wobbles, which caused the crowd to gasp and cry out with fear, but he made it to the other side and back without any great problem. “That was too easy!” he yelled. “Who believes I can do it again, but this time, with another person inside the wheelbarrow?” The crowd roared their approval. “I would not only be risking my own life, but also the life of the person in the wheelbarrow,” the man shouted to the crowd. “With a show of hands, let me see how many of you believe I can do this!” Almost every person in the large crowd raised their hand. It was nearly unanimous. But there were no takers, so the crowd did not see him push someone across Niagara Falls in a wheelbarrow that day. Then the pastor goes on to tell the audience how they can have true and effective faith. Usually the pastor says that they need to “prove” the reality of their faith by their good works. If they don’t have the good works which proves the existence of their faith, then they are just like the people who claimed to have faith, but didn’t prove it by getting into the wheelbarrow. Most people go away from such a sermon wondering if they’ve really believed, and therefore, whether they are really a Christian. But you can know that you are really a Christian and that you have really believed. You can know that you have eternal life. You can know that you are already in the wheelbarrow, and that it is the safest place you can be. 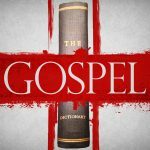 When we begin to define the word “faith,” it is important to recognize that modern, English usage of the word “faith” does not match the ancient Hebrew or Greek usage. The way this word is used today bears little resemblance to the way the word was used in biblical times. Today, when we use the word “faith” or “believe” we tend to use it as a synonym for “hope.” We say, I believe the Red Sox will win the Word Series. But really, we only hope they win. We do not know for sure that they will win. But this is not how the word “faith” was used in biblical times. In the Greek New Testament, the word “faith” is most commonly used in reference to something that a person knows to be true. For New Testament era Christians, to believe something, or to have faith, meant that they were persuaded or convinced of the truth of it. They knew it to be true. New Testament Greek Lexicons typically provides three basic definitions for pistis. 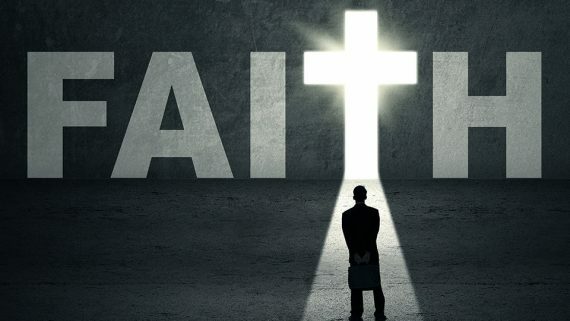 When used with an article, as in “the faith,” it typically refers to the body of Christian beliefs that separates Christianity from other religious faiths. It is used this way thirteen times in the New Testament (cf. Acts 6:7; Rom 4:11; Gal 1:23). Second, the word can be translated as “faithfulness” or “fidelity.” But even most of these could arguably be translated as “faith” (Matt 23:23; Rom 3:3; Gal 5:22; Titus 2:10). We will discuss this concept in a future podcast episode. The third possible definition for pistis is also the most common. Over 180 times in the New Testament, pistis refers to “believing.” In context, this belief occurs when a person knows something to be true. Faith is located in the mind and is persuasion or belief. It is something which “happens” to us as a result of reflection upon sufficient evidence … Saving faith is reliance upon God for salvation. It does not include within its compass the determination of the will to obey, nor does it include a commitment to a life of works. To believe is to be persuaded and be reliant and includes nothing else. 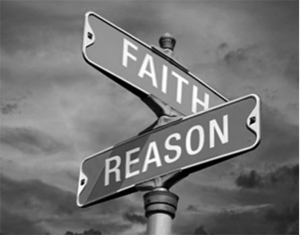 So what then is biblical faith (or belief)? We can do no better at defining faith than does the author of Hebrews, who writes: “Faith is the substance of things hoped for, the evidence of things not seen” (Heb 11:1). The author of Hebrews is saying that faith substantiates, or sees as reality, that which we have previously only hoped to be true. Faith is the evidence, conviction, or confidence in things we cannot see. Certainly, we also believe the things we have seen, but the faith described in the rest of Hebrews 11 is the faith that is confident in God’s promises based on what is known about God’s character and God’s Word. 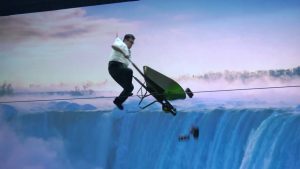 This brings us back to the illustration of the tightrope walker pushing a wheelbarrow across Niagara Falls. The people truly believed that the man could walk across the tightrope above Niagara Falls. They had seen him do it. They also believed that he could do it with a wheelbarrow. They had seen him do this as well. In both cases, their faith was real and genuine. Based on what they had seen him do, they also stated their belief that he would be able to push someone across Niagara Falls in a wheelbarrow. However, none of them were willing to get into the wheelbarrow themselves. Does this mean that they didn’t actually believe? No, it does not. They did believe and their faith was genuine. So why didn’t they want to get into the wheelbarrow? 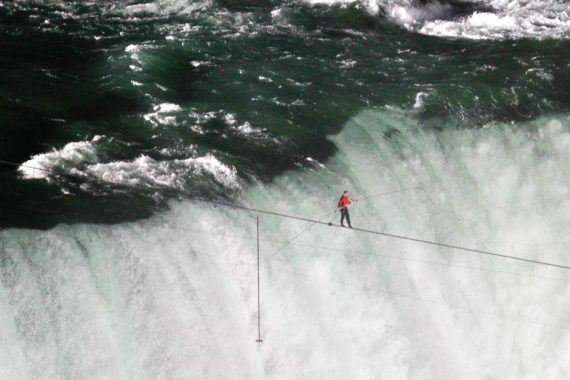 First, walking across Niagara Falls on a tightrope has inherent risks. This is why it is so thrilling to watch. And given all the various things that can go wrong in such a situation—many of which are completely out of the control of the man on the tightrope—there is no guarantee that he will make it across. Even if he performed this feat a thousand times in a row and became so good at it that he could run across while blindfolded, there is still no guarantee that he would be able to do the one-thousand-and-first time. Maybe a stronger than normal gust of wind would knock him off balance. Maybe it would start to rain and he would slip. Maybe a reckless bird would hit him in the head. There are just too many variables. No matter how many times the man completes this feat, it is a statistical certainty that eventually he will slip and fall to his death. So while the crowd could state their genuine belief every time that the man will make it across the falls, they also believe that a time will come when the man will fall. None of the people on the shore wanted to be in the wheelbarrow when that happened. So the people on the shore had two genuine, but conflicting, beliefs. They believed that the man could walk across Niagara Falls, and would be able to do it many times, even with a person in a wheelbarrow. However, they also believed in statistics and science, both of which say that eventually, the tightrope walker will fall. Related to this, while the people on the shore might have had full faith in the tightrope walker’s ability to maintain his balance, none of them had faith in their own ability. 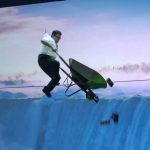 It is logical and reasonable to think that the man could take someone across the Falls in a wheelbarrow if the person stayed completely still and did not move. After all, if the person in the wheelbarrow starts flailing about, screaming in terror, or even sneezes, such movement could throw off the balance, causing both people to plunge to their death below. And as all people know, we cannot always keep fear at bay, nor can we easily hold back a sneeze. Therefore, here again, while a person might properly believe that a well-trained tightrope walker can push a person in a wheelbarrow across Niagara Falls, there are too many unknown and uncontrollable variables for any person to believe that they themselves could hold still enough to complete such a dangerous journey. The bottom line truth is that that this fictional illustration about how nobody from a watching crowd would get into a wheelbarrow so that they might be pushed across Niagara Falls on a tightrope does not illustrate the lack of faith in the watching crowd. To the contrary, it shows their true and genuine faith in a variety of truth claims. They believed the man could do it. But they did not believe in their own ability to sit still enough inside the wheelbarrow. They also knew (i.e., believed) that there were millions of random variables in nature that could create problems as well. So did they believe the man could push a person across Niagara Falls in a wheelbarrow? Yes, they firmly believed that the man could do it. But did each individual person believe the man would do this for themselves if they got into the wheelbarrow? No, they did not believe this, for the various reasons mentioned above. They probably had somewhere over fifty percent certainty that he would, maybe even approaching ninety percent certainty in some cases. But this was not enough reasonable certainty for them to gamble their lives on it. God is not a Tightrope Walker! But notice how different it is when it comes to the promises of God made to us through Jesus Christ. God is not a tightrope walker who will eventually make a mistake if we just give Him enough time. If He promises to take us across a spiritual tightrope, He will fulfill that promise every single time forever and ever without fail. There are no spiritual or natural variables which can wreak havoc with the promises of God. The same goes for Jesus. When Jesus makes a promise, it is a promise with a 100% guarantee. Like God, Jesus is fully reliable. Furthermore, many of the promises of God are not at all dependent upon our own effort or involvement. If we were to equate eternal life to getting into a wheelbarrow for a trip across Niagara Falls, then we would also have to say that on this trip, we could jump around and do flips inside the wheelbarrow and Jesus will still not lose His balance or let us fall into the waters below. We could even try to jump out, but He will not let us fall. Eternal life is His gift to us, and this gift has an everlasting guarantee. We are safe and secure in His hands, and He will never let us go (John 10:27-29). This is His promise. When we refuse to believe His promises, it is simply because we are refusing to believe that Jesus knows what He is talking about and can be trusted to do what He says. Jesus is fully trustworthy and reliable. So you can believe in Him for what He says. And when He offers eternal life to anyone who believes in Him for it, you can know that if you have believed in Jesus, then you have eternal life. When you believe in Jesus, you are already in the wheelbarrow and He is taking you across the falls, and there is nothing that you, or anyone (or anything) else can do to stop Him (Rom 8:38-39). Nevertheless, I imagine that you still have some questions about the nature of faith and how faith works. You also might still have some lingering doubts about whether or not you really believe. Maybe you have also heard people talk about head faith, heart faith, true faith, false faith, small faith, and great faith, and you want to know how these sorts of descriptions fit with what we have learned in this chapter. We will continue to look at these sorts of questions and issues in future podcast episodes. Walter Bauer et al., BAGD, 816. Wilkin, Confident in Christ, 5, 7. Shawn Lazar, Beyond Doubt, 106. Hi Jeremy. Delighted about this series. Can hardly believe that after 8 years of being a ‘Christian’ I still worry about the word ‘if’. For example- I read your article and start to feel secure then come upon the sentence “And when He offers eternal life to anyone who believes in Him for it, you can know that IF you have believed in Jesus, then you have eternal life.” And so the whole panic sets in again because of that little ‘if’. Do I really believe etc etc. So-looking forward to this series. Thank you again.